Drama series following eight women's struggle to lose weight at a weekly slimming club. This fact-based movie follows the life of the twin crime-lords in London's '60s underworld. In 1976, Tony Wilson sets up Factory Records and brings Manchester's music to the world. 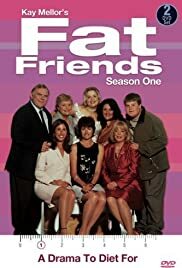 A comedy about fat people. Trying to lose weight. Well done ITV for commissioning such utter degrading trash. People who have weight problems seriously don't need this kind of ridicule - there are far too many people in the UK and around the world either trying to lose weight when they don't need to (anorexics), or are a bit too big. This programme only perpetuates ignorance and greed at the base level. Yet another ITV programme which makes fun of people with problems. 0 of 22 people found this review helpful. Was this review helpful to you?